The magic of the Lucy Boston Patchwork of the Crosses design is the fussy-cutting of the fabric. 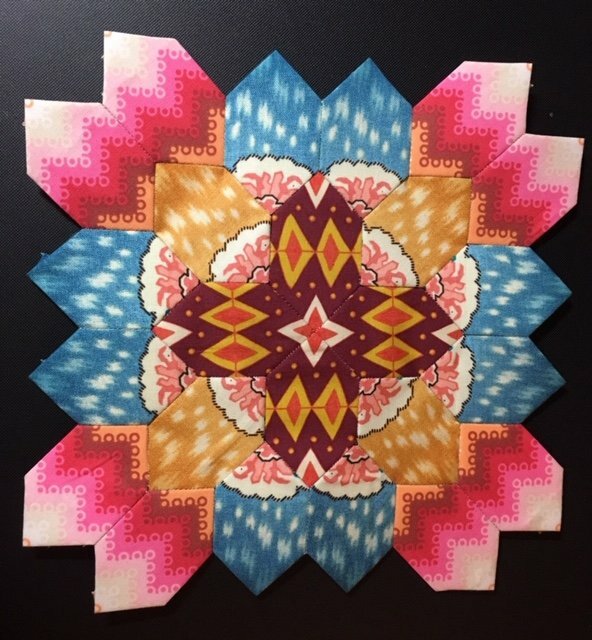 In this workshop participants will identify and use fabric to create their own one-of-a-kind Lucy Boston squares, while learning the English Paper Piecing technique. Workshop size is limited to 4 participants. Supply list provided with paid registration.